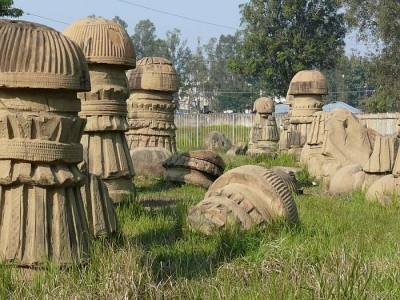 The ruins of Nagaland are of great archaeological and historical importance. 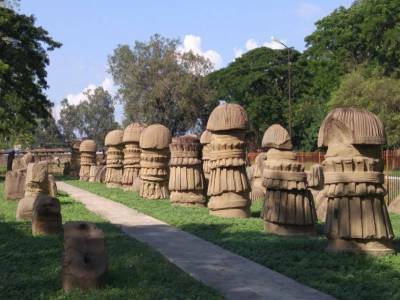 Located near Dimapur, Nagaland, the ruins of Kachari or the Dimasa Kachari Ruins is one of the most visited spots for tourists travelling to Nagaland. 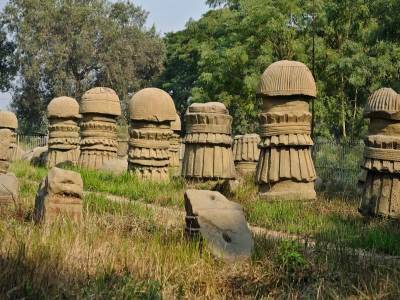 The Kachari ruins are famous for the presence of the Aryan structured pillars of mushroom shape or mushroom dome. 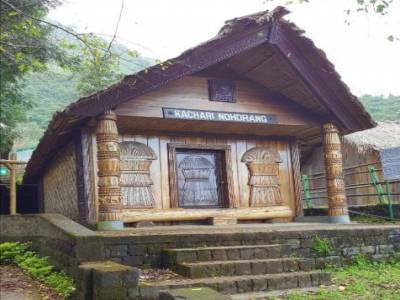 The history tells that the mushroom domes were built by the reigning royalty of Nagaland in 13th century CE. The kingships of Dimasa Kachari are given the accolade for constructing these unique mushroom domes at that time. The dome pillars that are found today are the remnants of the once vigorous figure because the Ahom invasion left these sculptural brilliances into rubbles. 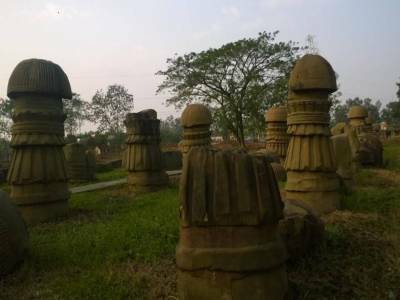 Though it is said to be the creation of Dimasa Kachari, still the origin and reason for the existence of these mushroom dome pillars are shrouded in deep dark mysteries. It is believed that the structures are a symbol of Aryan civilization that flourished in the deep recesses of the north eastern part of the wealthy Indian sub continental Aryan civilization. Many may find the structures of different wild animals and deities of Aryan origin in the sculptures of the mushroom domes. The layouted scattering of the pillar statures on the lustrous green field presents the illusion of a chequered chess board, where the mushroom domes are the pieces. Until recent intervention from the government, the ruins were in tatters by local vandalism and caused almost total devastating of the archaeological existence. The mammoth pillars are now reinforced with iron railings for better preservation and the shadows of the lost antiquity are still spreading of these pillars. The place is a great tourism destination of ancient history. Being in Dimapur makes it an easily reachable destination via Cab/Taxi/ Private Vehicle and the best time to visit is the dry months of the year because during monsoon season the misty ambience hinders visibility. Get quick answers from travelers who visit to Kachari Ruins.